If you enjoy visiting colonial cities that make you feel like you’re in another time, you should consider visiting Antigua, Guatemala. The place is one of the best preserved colonial cities in the Americas Spanish style, with buildings over 300 years old. Not only will several hundred years and structures of many ruins, natural wonders but also breathtaking. The Collection, the San Jose, Old Church, Church of El Carmen, and Saint Jerome, to name a few. You know a lot about the place once you visit these ruins. These churches were built in 1600 and 1700, making Antigua is a very ancient and historic city. For outdoor enthusiasts, the perfect place to go is the volcano Pacaya. There’s nothing like the experience of going on a trip to an active volcano. You need not actually walk because you can ride a horse to enjoy the view without worrying about aching feet. Once you arrive at your destination you can see the flow of lava from a volcano and you will realize that the climb to the place was worth. 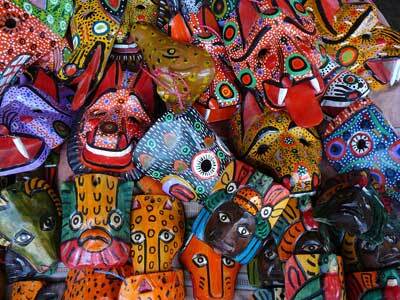 You can also go to buy souvenirs in the local markets of Antigua, where you can find jewelry, crafts, textiles, etc.